The 2011 vintage began in typical fashion, with rainfall and temperatures around average through the springtime. This steady weather trend continued into the summer, punctuated by some heat spikes in July and then even more in the middle of August, driven by warm winds. The flowering and the setting of the berries was standard. The vegetative development was regular until July, when the vigor of the plants slowed due to the warm temperatures and the dry Scirocco winds. The spring rains and constant attention to the different management needs of each soil type helped counterbalance the effects of the heat. The harvest began on August 31 and ended on October 10. Leaf coverage was maintained, but those grapes too exposed and suffering dehydration were eliminated. The strict selection in the vineyards along with overall low yield led to a 30 percent drop in quantity. The grapes showed freshness and bright aromas; fine structure, silky body and juiciness are the key features of this vintage. 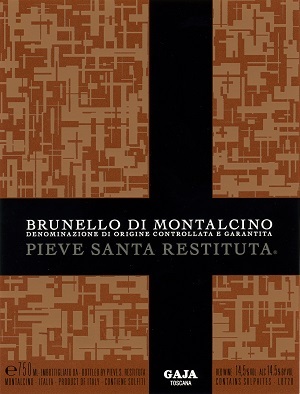 The grapes for Brunello 2011 come from both the vineyard named Deserti, in the area of Torrenieri – located northeast of Montalcino village – and from a selection of Rennina and Sugarille vineyards that surround the church of Santa Restituta, southwest of Montalcino village. Deserti vineyard has northwest and southwest exposures, and its soil is a well-balanced mix of sand, clay and tuff. The area is windy and characterized by significant night-and-day temperature variation. The 2011 Brunello opens with a bouquet of wildflowers and red berries, followed by fresh balsamic notes, notably sweet licorice and thyme. The palate is very clean, with flavors of fresh plum and red cherry, well integrated wood aromas and silky tannins. 3. and Santo Pietro, with a southwest exposure, clay and tuff soil with sporadic traces of sand. All these vineyards surround the Santa Restituta Church. This area is historically called Rennina, and the wine take its name from it. The Rennina 2011 displays an open floral nose, rich in dog-rose and pansy flower notes with a hint of aromatic herbs and spices, in particular juniper and white pepper. The juicy palate features of fresh red fruit, acidity and alcohol are well balanced. Firm and fine tannins lead to a fresh finish. From the homonymous south-exposed vineyard, 1 km from Santa Restituta Church. This is the historic vineyard of the estate, mentioned in the church inventory dated 1547. The soil of Sugarille is quite different from the rest of the estate – deeper and more compact, displaying a calcareous and marl composition and a significant presence of galestro. 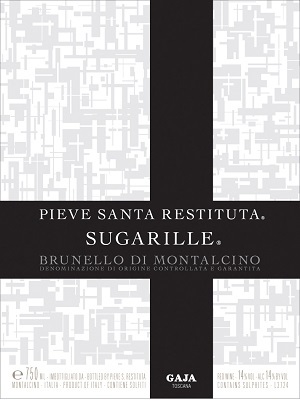 This is the most compact and austere of the three Brunello from Pieve Santa Restituta, and Sugarille is the wine that requires the longest ageing. Intense notes of resin, sweet tobacco, ink and a final hue of flint make way for a concentrated palate of meaty aromas, black cherry and spices. Rich and long finish, with perceivable but elegant wood notes. A powerful red with chewy tannins and hints of cedar and wood. Full-bodied, tight and tannic. I like the tannin tension. Needs two or three years to soften: Try in 2017. A wonderfully polished, fruity red with cedar, berry and chocolate-powder aromas and flavors. Full-bodied, silky and delicious. Drink or hold. The core of black cherry and plum is shaded by vanilla, coconut and sweet spice notes in this intensely flavored yet fluid red. Long and beautifully integrated at this young stage, with tobacco, leather and mineral details emerging on the aftertaste. Needs time. Best from 2019 through 2036.—B.S. Wine Advocate Rates Pieve Santa Restituta 2010 Brunellos with 96+ Points! Angelo Gaja and his family have released two masterpieces from their Montalcino cellars (after skipping the 2009 vintage). These are amazing wines that stand out in a blind tasting thanks to their infinite extract, density and all-round excellence. They follow an elaborately developed house style that applies to Gaja’s efforts in Piedmont and Bolgheri as well. These two Brunellos are more marked by the “Gaja” touch than the Montalcino signature. The personalized winemaking style overrides the territory-driven typicity. But no matter: These wines are simply delicious. In Montalcino, the climate trend was different from the last 20 years, more similar to the ’80s: presenting mild winter, humid and warm spring and a not-too-hot summer. The abundance of rainfalls during winter and springtime cooled down the soil temperature. This led to a slowing down of the vegetative growth of the vines. The blossoming came with a delay of almost two weeks in comparison with previous years, thus avoiding the scattered summer hail storms. The first part of September was characterized by light Tramontane winds and presented a mild and dry weather. The winds helped in maintaining the health conditions of the grapes and slightly hastened the ripening. For this reason, the harvest began on 22 September and ended, without any interruption, on 7 October. Click here (or the image below) to watch the video.